Grass does not live by sun and water alone... so feed your lawn all year long. 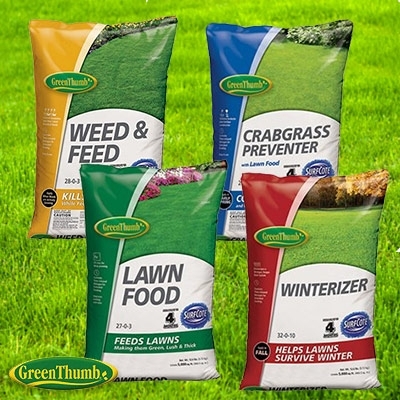 Four essential bags of Green Thumb fertilizer will keep your lawn healthy from spring to winter. Get all the essential nutrients as the leading brands, but without the high price.